Devon house hunters will be able to see more of a new part of the Fremington community as Bovis Homes opens the doors to its latest view home this weekend – and to celebrate the occasion, buyers will be able to benefit from a special offer. Bovis Homes will be giving visitors the opportunity to look around the four-bedroom Harriet at its Water's Edge location on Saturday 30th June and Sunday 1st July, and they will be able to make the most of the summer if they reserve during the event as the house builder will be giving away a BBQ, fire pit and patio set to the buyer on completion. The Harriet boasts a spacious kitchen and a large bright sitting room, with French doors out into the garden. The dining room also has French doors leading outside and there is a separate study. The first floor has a family bathroom and four bedrooms, with the master bedroom featuring an en suite and a built-in wardrobe. “We've got a wide range of purchase assistance schemes available which can help to get you moving,” says Stacey. “For example, the Help to Buy scheme, which is exclusively available for brand-new homes, can be used by first-time buyers and existing home owners. You'll only need a 5% deposit and the Government provides an equity loan of up to 20% of the property's cost, which leaves you with just a 75% mortgage required, opening doors to more competitive lending rates. 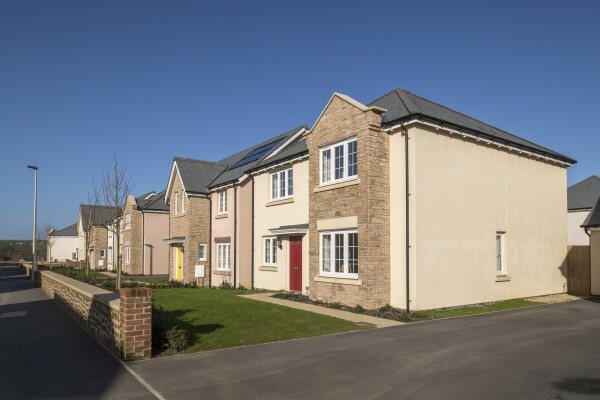 For information about Water's Edge and all Bovis Homes purchase assistance schemes, call the sales team on 01271 552002, email fremington.sales@bovishomes.co.uk or pop into the sales office which is open Thursday to Monday 10am to 5pm. Further information can also be found at www.bovishomes.co.uk.